There’s been a lot of confusion between the different job platforms that exist. Because we all serve basically the same purpose, people get to interchange different features, or misunderstand how each platform works. In fact, whenever Onlinejobs.ph go to different forums and talks, this type of confusion is something that we already expect, and the words roll out as easily as we can say Filipino Rockstar VA.
We’re here to set the record straight. WE ARE NOT UPWORK! focus only on Filipino Talents. encourages employing dedicated virtual assistants. Others may say it’s a bad case of racism but it isn’t. If you’ve ever followed John Jonas, one of the founders of Onlinejobs.ph, you’ll know why he built his entire business around the Philippines. It’s because he’s tried outsourcing in many different countries, and this is the only one that worked. He found the best Virtual Assistants from the Philippines. His business prospered, and decided to share this experience with other entrepreneurs. That’s why he built Onlinejobs.ph. It’s the result of a great working relationship between him, and other Filipinos like me. I already told you that the entire point of centering around the Philippines is because of John’s experience right? Another thing he has experienced is when an employee is invested into the company, he works harder and is more dedicated. The only way to do it is to offer a stable job, train, and grow with the company. If you don’t believe it, I’ve been with John for 10 years now. The fact also surprises me. But all of us work so John succeeds, in that case, we all succeed. And this is why we encourage giving a long term employment a chance, whether you’re a virtual assistant, or an employer. 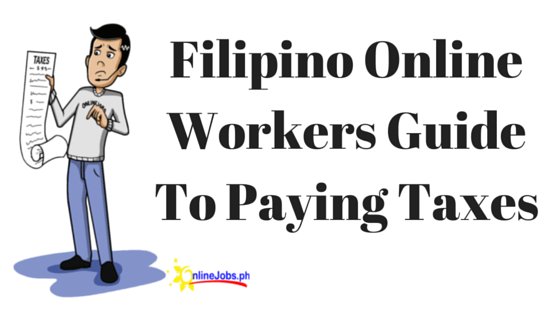 Onlinejobs.ph Want to Help Filipino VA’s, so Why Would We Charge Them? Our business model is we help foreigners hire Filipino VA’s through a monthly membership. Once the employer is able to hire someone, our contract with them ends. No further fees are needed from either parties. We don’t take any percentages from anyone, just a straight up fee to access our VA database. It’s simple and it doesn’t take out any more money from anyone. We want small businesses to have more options and to succeed. At the same time, we want Filipinos to have a decent home-based job. It has been working and still works. We will not be taking any percentages in the future as well. You worked for it, you deserve it. So we’re not saying that Upwork is an awful job service, we’re just saying we’re a completely different platform. There’s simply no competition because we cater to different types of individuals and businesses, and we have different goals as a business. This is why if anyone ever asks money from you (claiming they are onlinejobs.ph), as a virtual assistant, know that they’re not with us. We don’t charge virtual assistants. And for employers, if you’re looking for someone who can grow with your business, someone you can train and trust, then we have the best Filipino Virtual Assistants for you. I am already a member of this site please help me to find a job. I am new in this online jobs. I am very willing to learn. Thank you. I cannot apply for any job because it says that I have low ID proof. What is this? I am about to sign up and will be sending my id for proof but I really would like to make sure that it is really safe? Hello there! Do you have any affiliate program? Like if I get some companies to sign up to you, can we get an affiliate link? The warning is simply a reminder not to apply if you are not qualified for the job. If you are not qualified, it could affect your IDProof score. An employer usually specifies the IDProof score that the applicant should have in order to apply. If your IDProof score is lower than what is specified, you will not be able to apply.